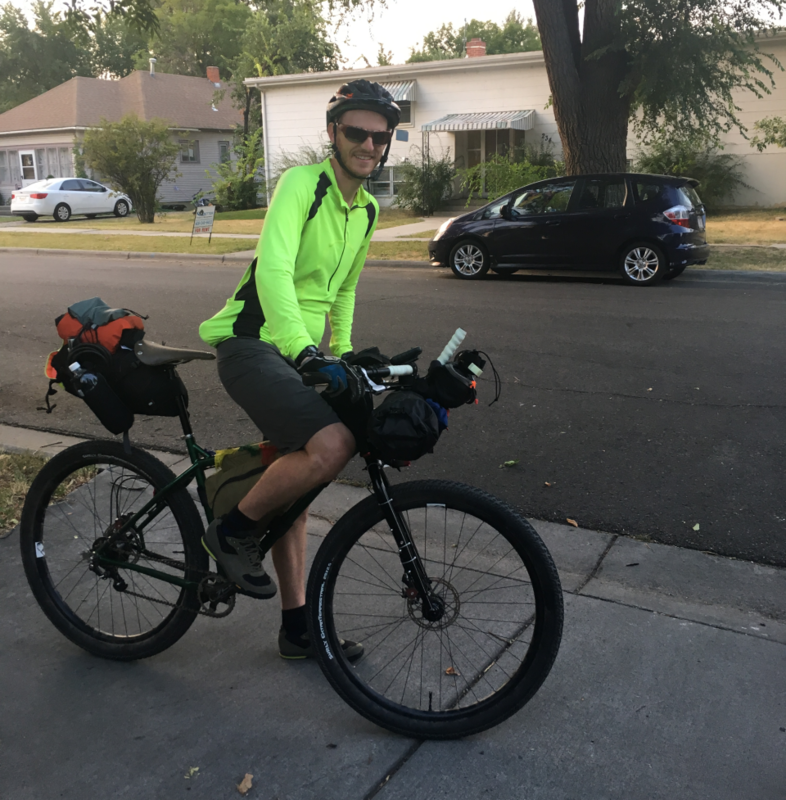 Pedal Mettle – Page 9 – Bicycling through thick and thin. Unknowingly about to wreak havoc on my knees, the first pedal stroke of a new tour. 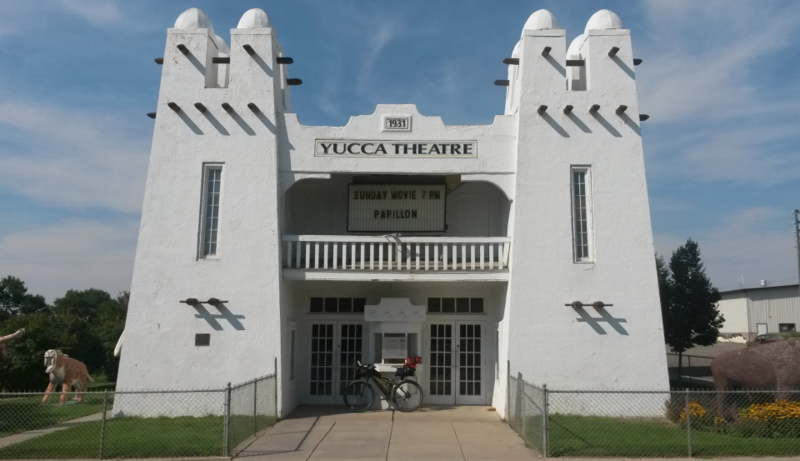 The historic Yucca Theatre in Hysham, MT. 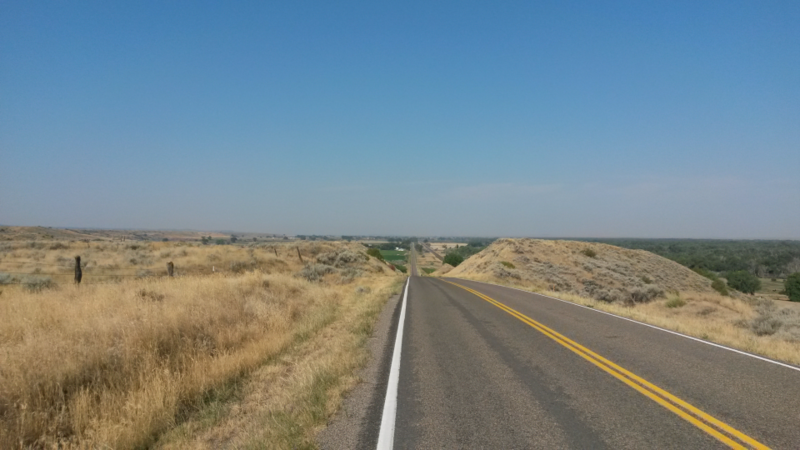 In eastern Montana there is not a lot to look at stretching as far as the eye can see. 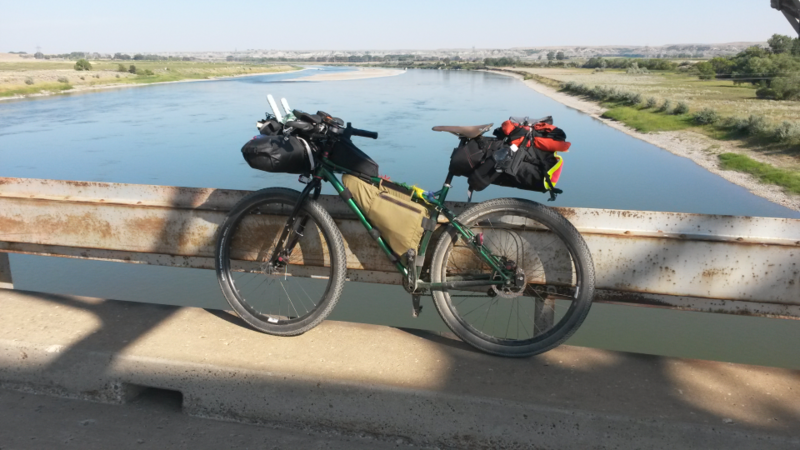 The penultimate crossing of the Yellowstone River on Frontage Rd. 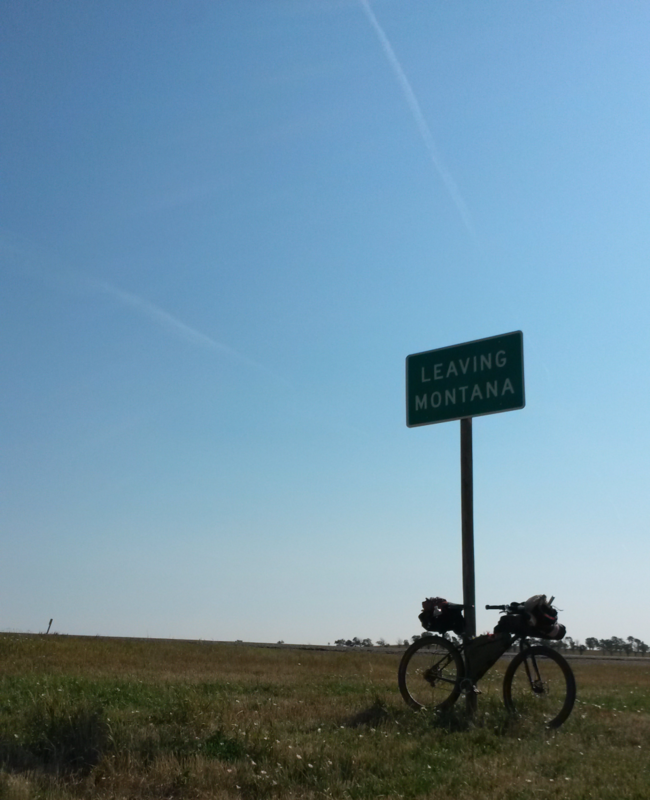 just east of Fallon, MT. 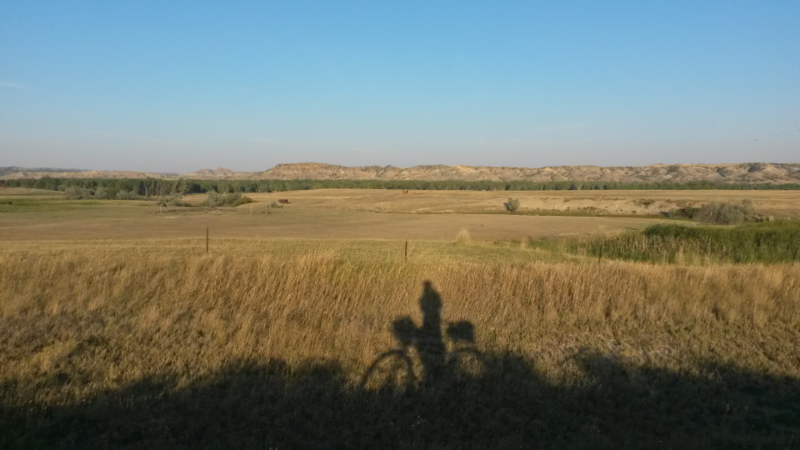 A long shadow cast by the setting sun outside Glendive, MT. 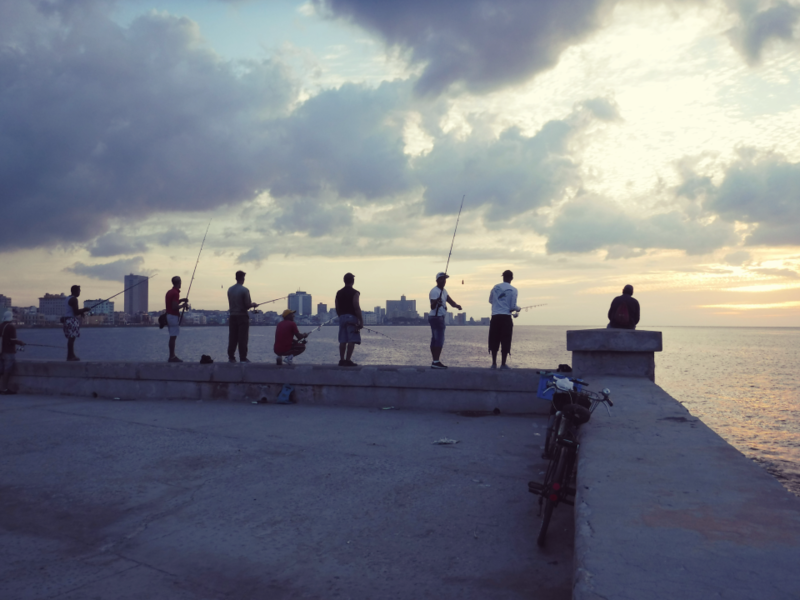 Fishermen stand should to shoulder, plucking fish from the surf along the Malecon seawall in Havana. 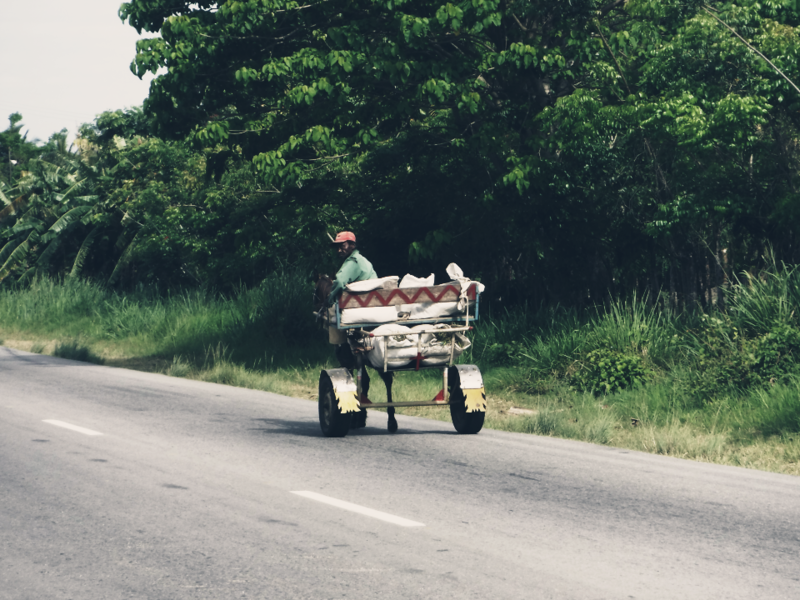 A man in a horse-drawn buggy making his way along the Carrretera Panamericana. 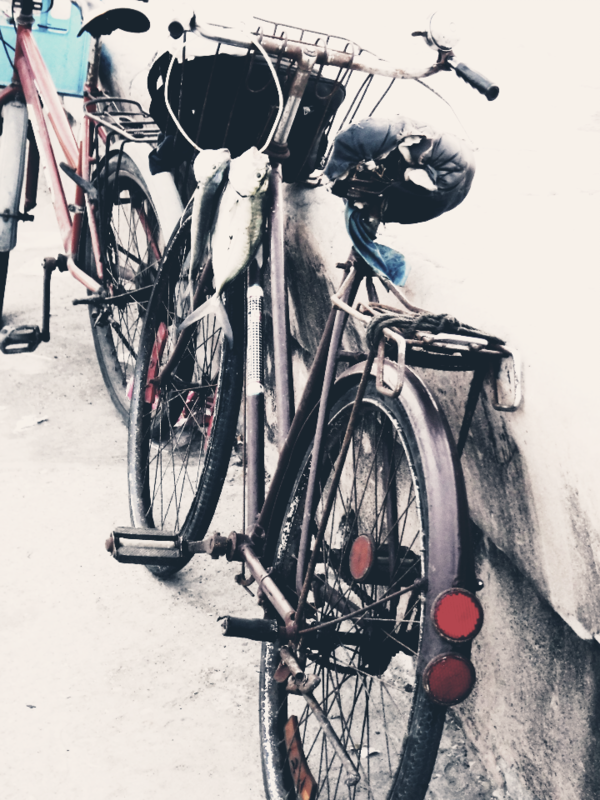 What is considered alternative transportation in the United States is considered primary in Cuba. 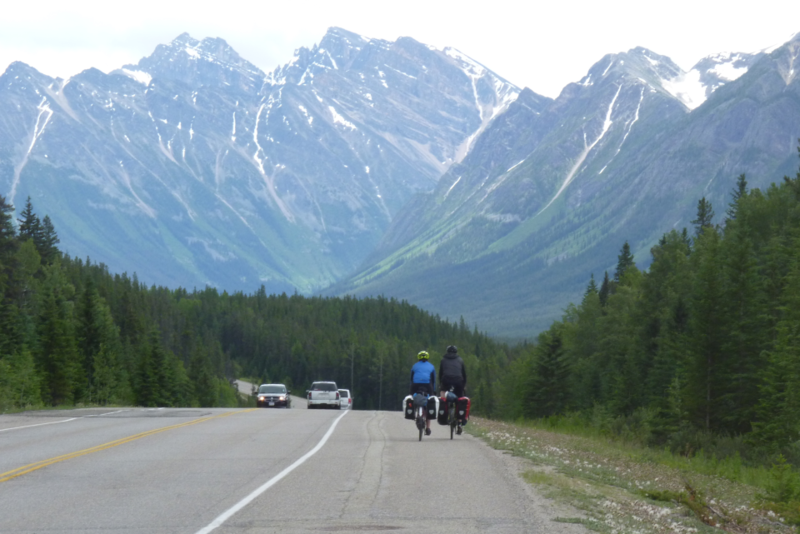 Bicycles were common on the roadways, and motorists were accepting of our presence. 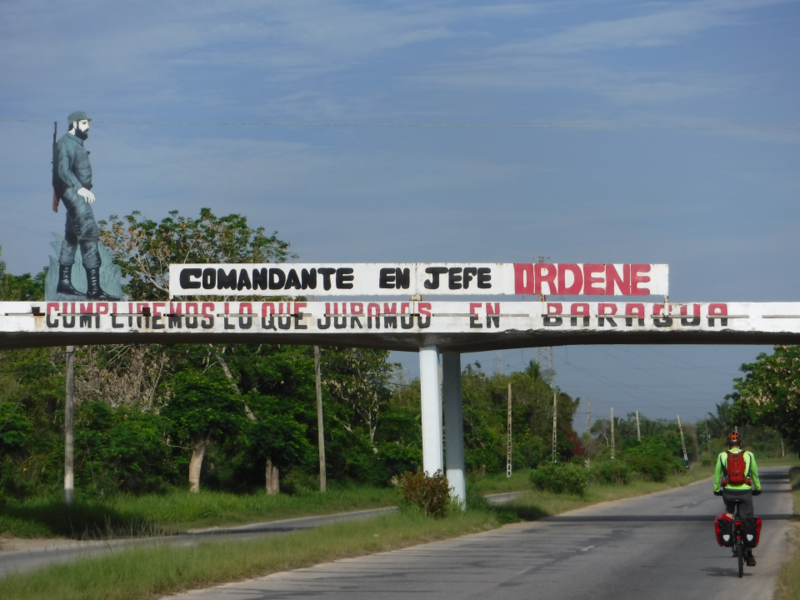 Homage is paid to La Revolucion at every opportunity. 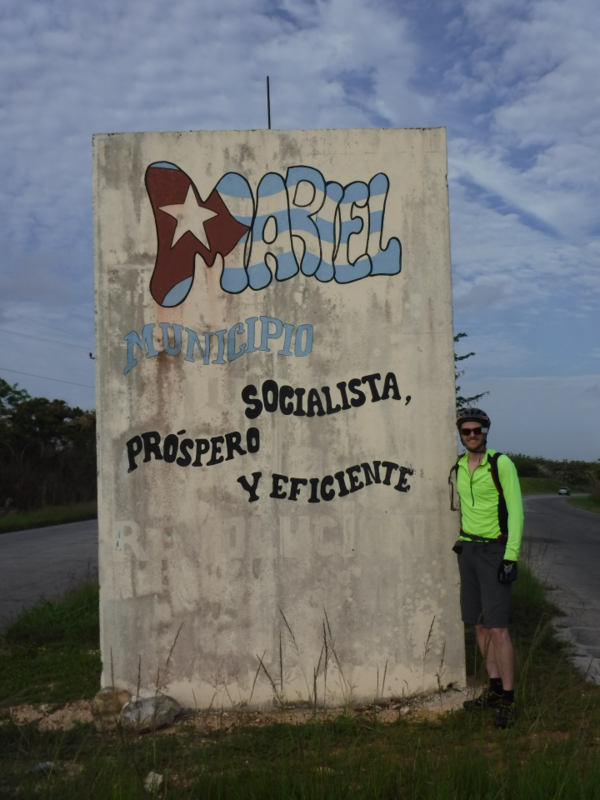 A concrete sign announces arrival at Mariel. 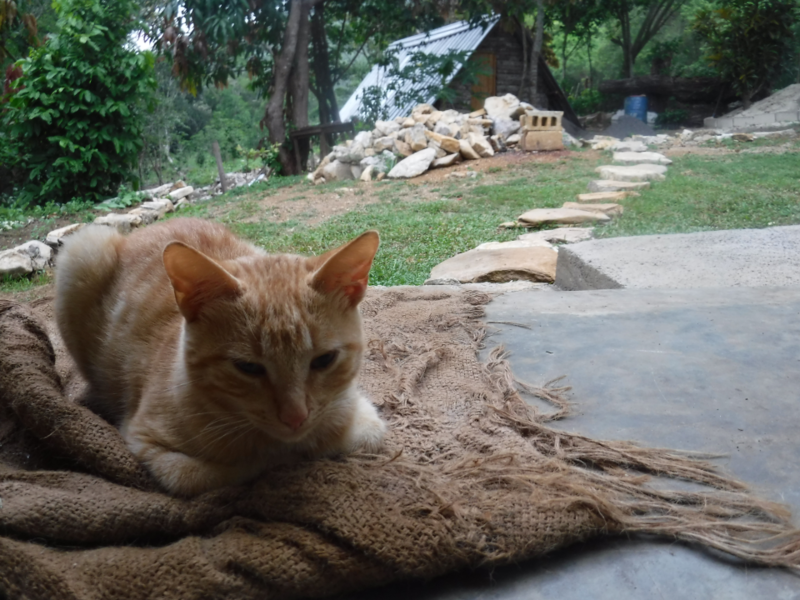 Our tremendous hosts for the evening had a cat named “Mr. Trump” — likely a nod to their common tonality.